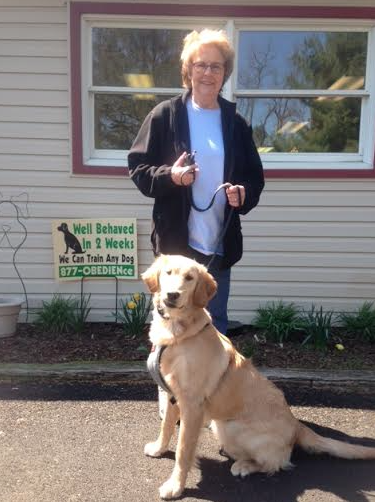 Deb F. and Jamey from Reading, PA.
What I liked most about the services at Peacock Bridge Kennels was their friendly and understanding staff. They gave me back a great dog; my best friend Jamey. Overall, I was very satisfied with the dog training. My son and daughter-in-law also said great job! I would recommend your training to anyone. Thank you Andy for your help with Jamey in class. I was afraid to walk her any more for fear she would knock me over. Now I have a dog I can walk and enjoy. Also, thank you for teaching my son Tim how to handle Jamey. She is doing very well.